HomeIs the Walsall buy to let Market in Crisis? Is the Walsall buy to let Market in Crisis? A Walsall landlord who manages a portfolio of properties called me after reading my Blog. 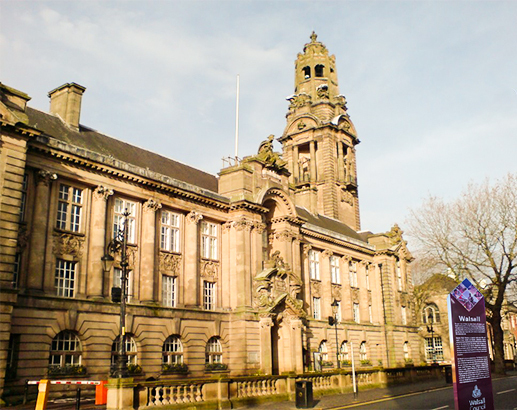 He was concerned about the Walsall Property Market where he has 4 properties and after the recent changes he is considering whether to exit the market by selling the portfolio. We discussed many things but mainly he wanted to pick my brains and thoughts around what he called the crisis in the market. I’m a glass full sort of guy so where others see ‘doom and gloom’, I only see opportunity. It was only last summer the soothsayers were predicting the end of the world over the supposed house price bubble that many believed was developing in the West Midlands, including the Bath Property Market. Property prices were rising at 20%+ per annum in London, only for things to ease as the property market in the capital showed a controlled slowdown and cooling in activity, with price growth easing to a more realistic 8% to 9% per annum. However, this month’s crisis is the buy-to-let property investment boom and as George Osborne always likes to be topical, in the July emergency budget, he declared that he will start to scale back, from 2017, the tax relief that those high-income tax rate buy-to-let landlords in Walsall with a mortgage have benefited from. The Daily Mail ran headlines stating it was the end of the private landlord; predicting many investment landlords in Walsall will give up on buy-to-let altogether and we will be inundated with rental properties up for sale as Walsall landlords feel squeezed out from the property market. As I said to the landlord, I didn’t notice any marked increase in sales in Walsall as a direct result at least, not yet. Even Mr Carney, the Governor of the Bank of England, recently cautioned that the buy-to-let property market could destabilise the whole UK property market. He was concerned that investment landlords who bought with high loan to value mortgages could be spooked if there is a property crash, they would panic because of negative equity, sell cheaply, which would worsen house price falls. Before we all live like hermits in the Highlands, let me explain my perspective on the subject. As a letting agent in Walsall, my experience of property investment is relevant here. As I mentioned a few weeks ago, two thirds of buy-to-let properties bought in the last eight years have been bought mortgage-free, so they won’t be affected by the Chancellor’s taxation changes. As letting agents in Walsall we have not seen our portfolio landlords affected. Also, something I feel is often overlooked but very important, is the fact that Walsall landlords have only been able historically, to borrow up to 75% of the value of the rental property. In the last property crash of 2008, property values dropped by the not-so-insignificant figure of 16.52% in Walsall, but even then, when we had the credit crunch and the world’s banking sector was on the brink, no buy-to-let landlord would have been in negative equity in Walsall (given the 25% deposit paid at point of purchase). I believe we have a case of ‘bad news selling newspapers’ and I believe that buy-to-let investment in Walsall, and the Walsall Property Market as a whole, will carry on relatively intact. It’s true reducing tax relief will hit Walsall landlords who pay the higher rate of income tax, and this may slightly diminish buy-to-let as an investment vehicle, but I doubt people will sell. Many Walsall landlords have been lazy with their investments, buying with their heart and not their head. You would never dream of investing in the stock market without doing your homework and talking to people in the know. If you want to make money in the Walsall Property Market as a buy-to-let landlord, it’s all about having the right property and as you grow, the right portfolio mix to offer a balanced investment that will give you both yield and capital growth. So I informed the landlord that I feel the Walsall buy-to-let market still offers good investment opportunities to new and old alike. Our property management and landlord services in Walsall are busier than ever. Those who have bought in the last 12-18 months have reaped the benefit from buying in Walsall, because the town offered a combination of reasonable house prices with subsequently increasing rents. Property values have risen by 6.12% in the last eighteen months in Walsall & the surrounding area, whilst looking at rents, in Q2 2015, average rental values for new tenancies were 11.1% higher than Q2 2014, and they rose by 8.1% between Q2 2013 and Q2 2014. One source of information and advice is the Walsall Property Blog where I have similar articles to this about the Walsall & surrounding area property market and what I consider to be the best buy to let deals around at any one time in the town, irrespective of which letting agent in Walsall it is on the market with. ← 2 Bed Apartment with potential yield of 7.9% in Bentley, Walsall! !